Can’t find a calendar plugin that’s both user-friendly and powerful? Is it difficult to create a calendar that goes perfectly with your website? Are your events not reaching a wider audience? Tired of wasting hours managing events? Let your visitors share your events on Facebook, Google Plus, and Twitter. Create as many calendars and events as you like. Display a calendar widget on the sidebar areas of your site. Create recurring events with any repeat rate. The plugin is integrated with Google Maps to help you display event locations. Easily customize the look and content of your events. Provide details about the location of your event and organizers. 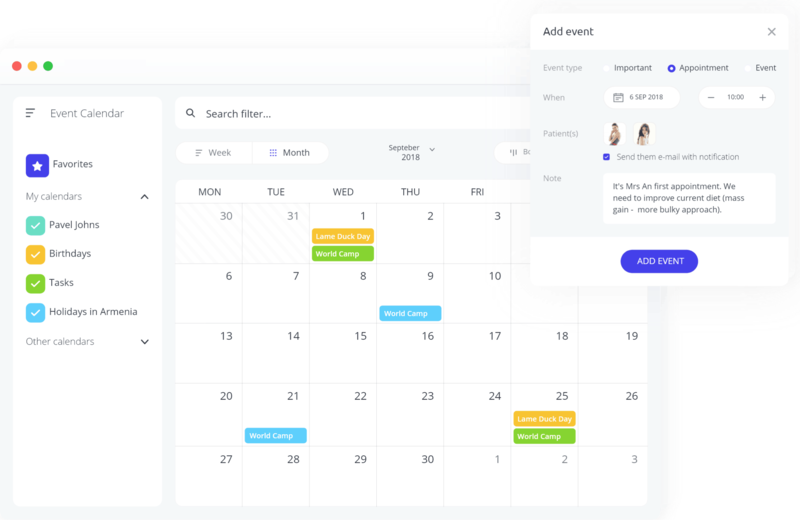 Tag and assign categories to your events. Seven different views: Month, Week, Day, List, Posterboard, 4-day, and Map. Our customers will tell you the rest. This plug-in has been great for me overall. I love the selection of tones that are available – all in the free version, no less! – and the plug in takes into consideration all of my calendar needs, from the beginning of the day to the end. My experience has been so great with the free version that I am considering upgrading to the pro version. I have been really impressed by these guys, and they will really surprise you by how much work they put into their pug-in. Highly recommend! I have used many calendar plugins over the years and this is far and away the best I have found. I have complete control over the color scheme and it has all the features I need. Also customer support is excellent. This team knows how to make things right when they could be very wrong! They saved me so much time with their excellent service and support, and the plugin is beyond awesome. Easy functionality and beautiful calendar, you can’t go wrong. best one out there. Purchase this plugin, you won’t be disappointed!